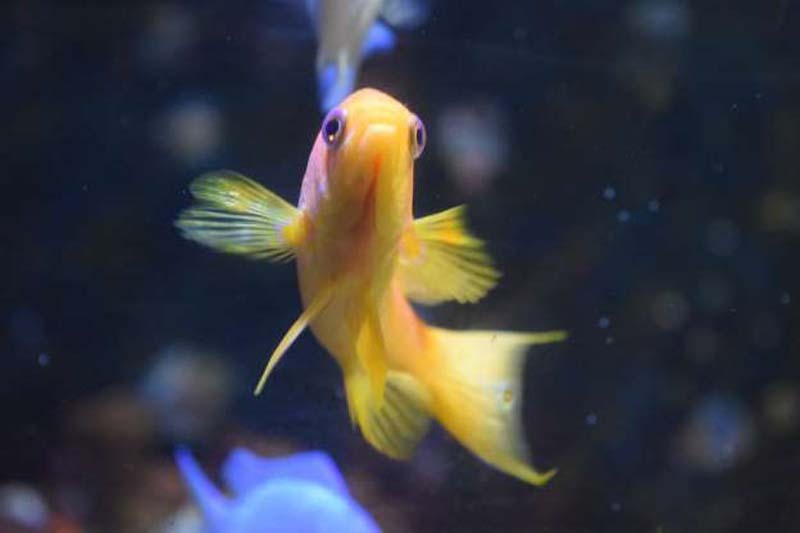 It may not be the cutest, cuddliest, or the most exotic animal to have in your home, but there’s something about the goldfish that appeals to pet owners around the world. These descendants of the Prussian carp were first domesticated in China 2000 years ago. Mutations produced fish with brilliantly colored scales, and after years of breeding, the pet store staple we know today was born. Here are some facts about the iconic pet worth knowing. 1. THE CLASSIC GOLDFISH WAS ALMOST YELLOW. 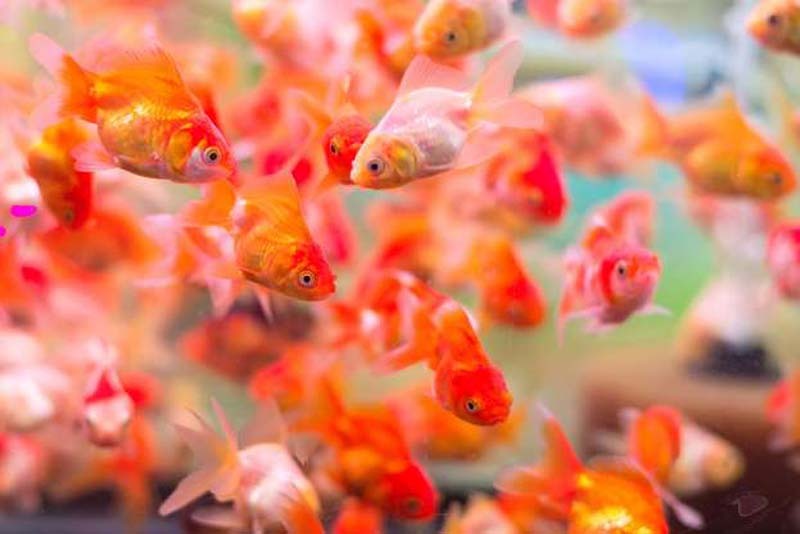 Goldfish come in many shades, but it's the orange variety that's most closely associated with the species. This may not have been the case if it wasn't for a rule enforced during the Song Dynasty. By 1162 CE, goldfish ponds were en vogue, and the empress at the time had her own built and filled with the colorful creatures. She also forbade all non-royals from keeping fish that were yellow, the color of the royal family. 2. THE GOVERNMENT HELPED MAKE THEM POPULAR IN AMERICA. Goldfish became the go-to fish for American pet owners in the late 19th century, and that’s partly thanks to Washington. According to The Atlantic, the U.S. Commission on Fisheries received an import of Japanese goldfish in 1878 and decided to give them away as a publicity stunt. D.C. residents could submit requests for glass bowls of goldfish, and at the program's peak, 20,000 pets were handed out a year. The campaign lasted through the 19th century, and at one point, a third of all households in the city owned a government-provided goldfish. 3. THEY'VE OCCUPIED THE WHITE HOUSE. 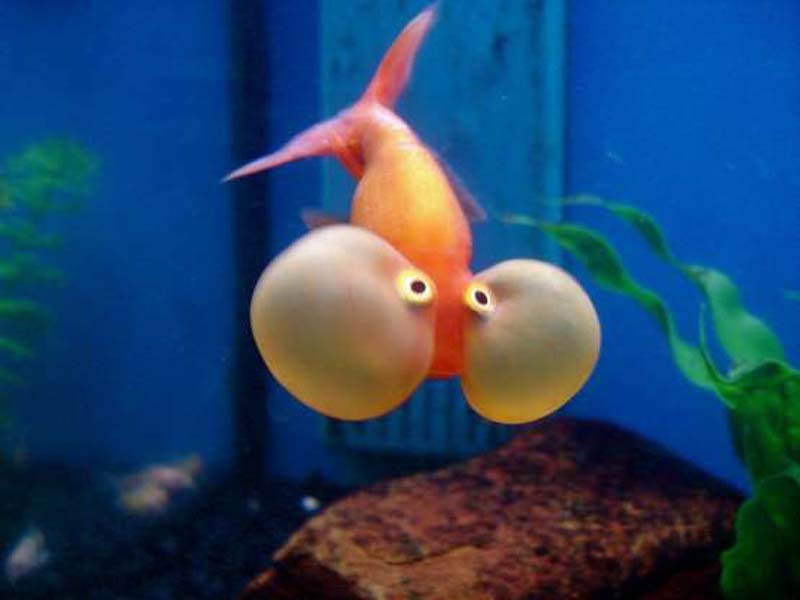 One notable D.C. resident to hop aboard the goldfish craze of the late 1800s was President Grover Cleveland. Among the hundreds of fish he had imported to Washington were Japanese goldfish. And he’s not the only president to keep a pet goldfish. After Ronald Reagan was shot in 1981, a 10-year-old from New York sent him a goldfish named Ronald Reagan the Second with the note, "I hope you get better and to help you get better, here is a companion … Just feed him daily and he'll be fine." (White House staffers put the goldfish in a former jelly bean bowl.) President Nixon's dog Vicky became famous for chasing the goldfish in a White House pond. 4. THERE ARE OVER 100 VARIETIES. It may be the most recognizable one, but the common goldfish isn't the only member of the species worth noting. 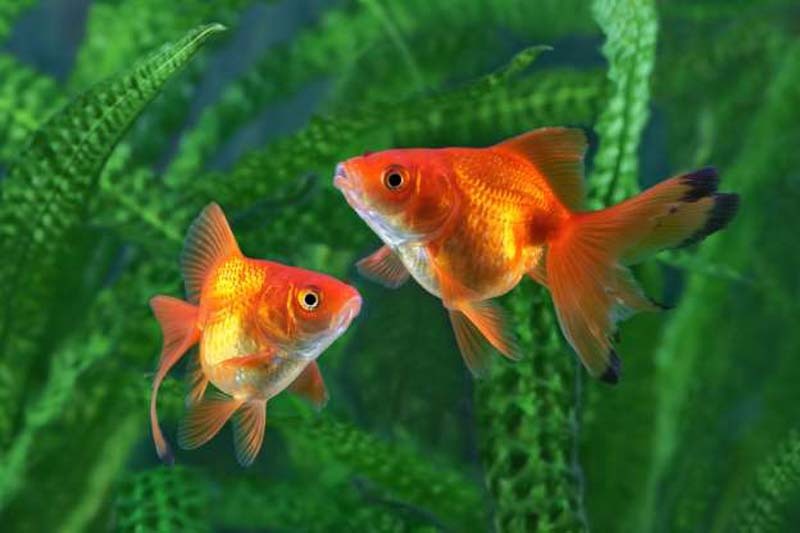 Goldfish come in dozens of breeds that vary in color, shape, and size. Some varieties are known for the lumpy growths on their heads, while others are prized for their mottled scales. A few spectacular varieties include lionheads, pompoms, veiltails, bubble-eyes, and shubunkins. 5. YOU CAN TEACH THEM TRICKS. Having trouble teaching your dog to fetch? Maybe you'll have better luck with a goldfish. The species can be trained to perform tasks like recognizing colors, retrieving items, and swimming through mazes. The R2 Fish School offers a whole training kit, complete with a miniature sports field designed to transform your fish into a star athlete. One of their graduates currently holds the world record for knowing the most tricks of any fish. 6. THEY HAVE AN EAR FOR MUSIC. 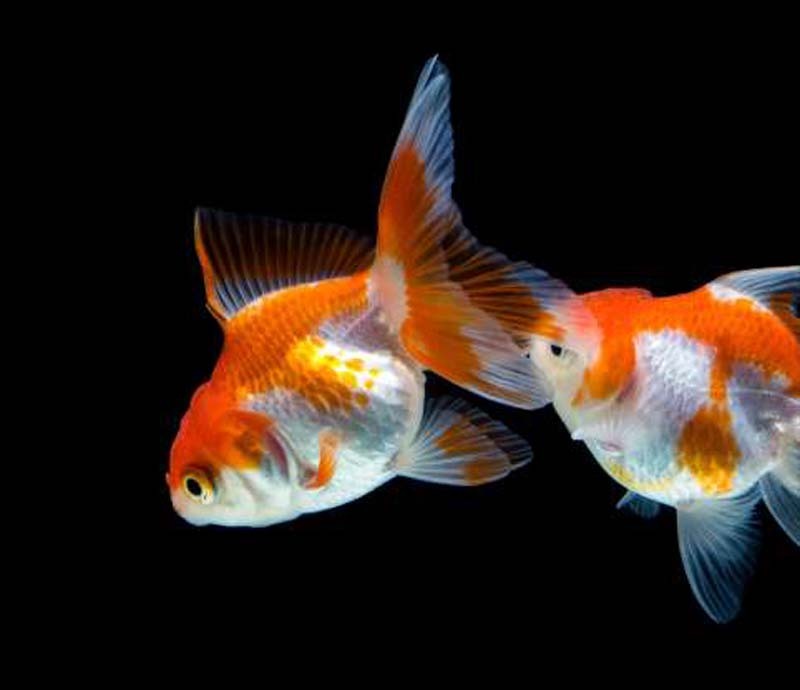 Partly because they're easily trained, goldfish make for popular test study subjects. 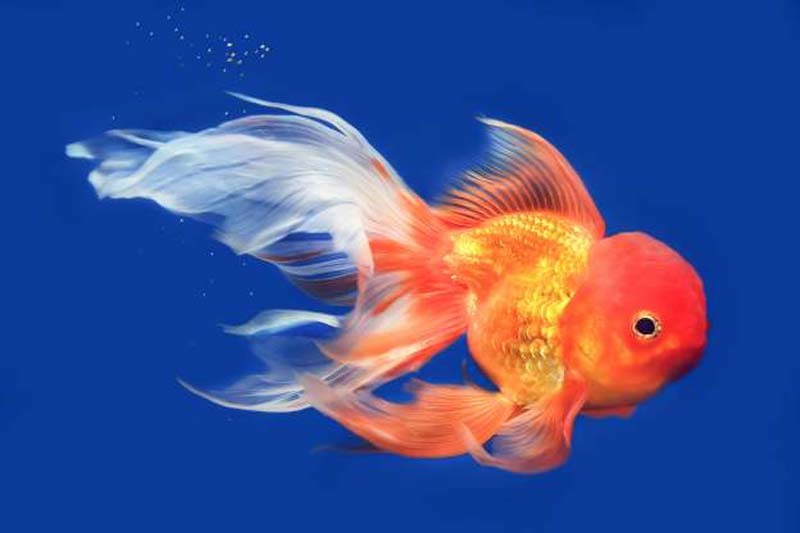 In one such study conducted by Keio University, goldfish were taught to distinguish between the music of two classical composers. One group was trained to nibble on a ball of food when they heard pieces by Johann Sebastian Bach. A second group was taught to do the same but with Igor Stravinsky. When scientists swapped the composers the fish no longer showed interest in eating, suggesting they could tell the difference between the two styles. 7. GIANT GOLDFISH ARE A HUGE PROBLEM. Your goldfish may look cute and tiny in the tank, but in the wild, they can grow to monstrous proportions. Specimens living in Australia's Vasse River have the fastest growth rate of any goldfish species, reaching up to four pounds. 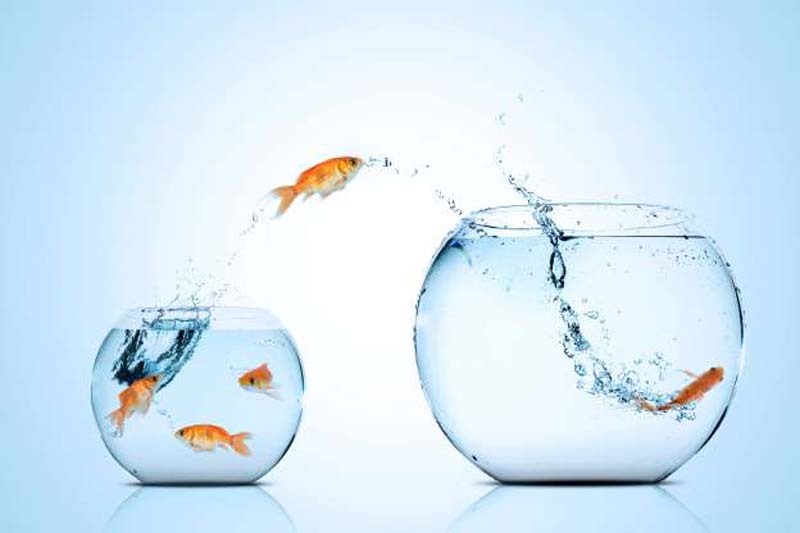 Their growth spurts might be impressive if they weren't so disastrous for the environment: Goldfish are an invasive species and they're sometimes responsible for harming local animal populations and spreading disease. So if you have a sick fish at home, make sure it's really dead before you flush it. Or better yet, bury it in your garden (it's more dignified anyway). 8. THE OLDEST GOLDFISH LIVED TO BE 43. Buying a goldfish isn't supposed to be a lifelong commitment. You may hope for it to last a few years at the most, but with proper care and good genes, a goldfish can live to be much older. 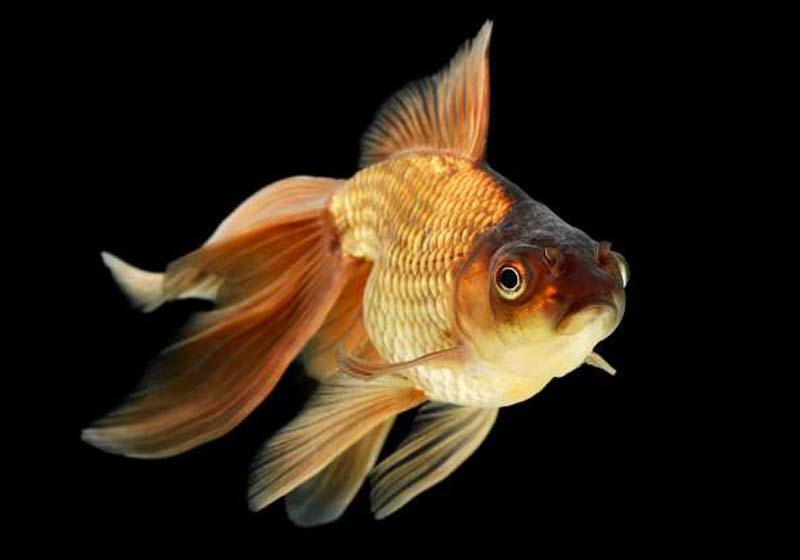 The world's oldest goldfish, a carnival prize named Tish, died in 1999 at the age of 43. According to his owner, the secret to Tish's longevity was occasional sunlight and being fed in moderation. 9. FISHBOWLS ARE BANNED IN PARTS OF ITALY. It's hard to think of goldfish without picturing the classic, glass fishbowl, but animal welfare groups say we should rethink the vessel as a pet habitat. 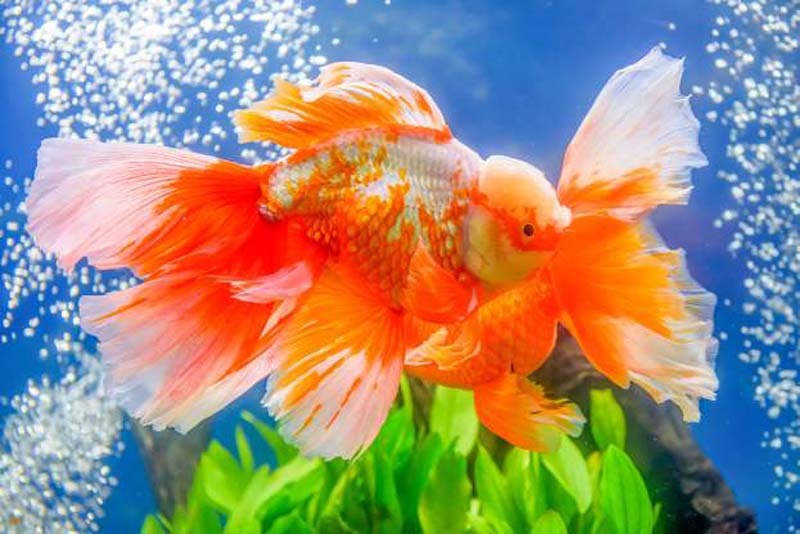 According to the Humane Society, first-time fish owners should buy a tank of 20 gallons or more to give their aquatic companion suitable swimming space. In 2004, the northern Italian city of Monza banned pet owners from keeping fish in round bowls and Rome passed a similar law a year later.